We were recently away for the weekend in Greyton and on our way back we stopped in at The Restaurant at Gabriëlskloof. And we were so glad that we did! 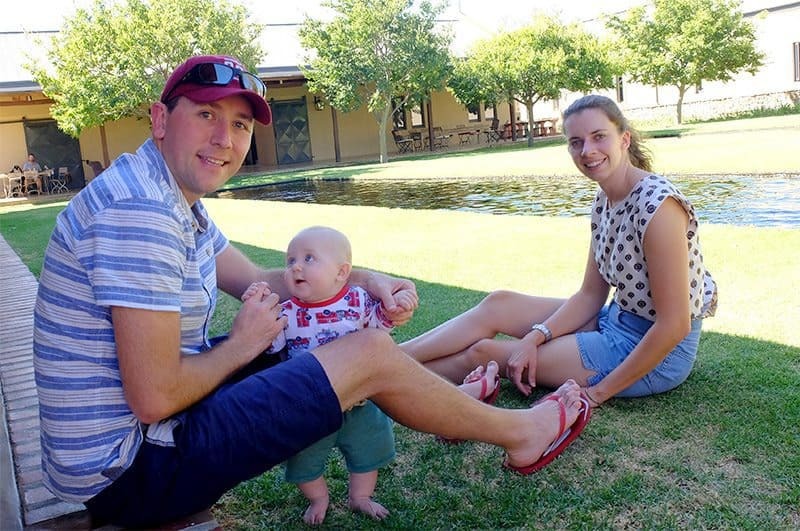 The Restaurant at Gabriëlskloof is owned and run Frans and Mariaan Groenewal, a husband and wife team. Right from the start we were made very welcome, they even had a beautiful high chair for the little guy. And, because it just seemed right, we started with bubbles. When it comes to food, the emphasis is on slow-cooked and hearty. Cooked with love by Frans and Mariaan. 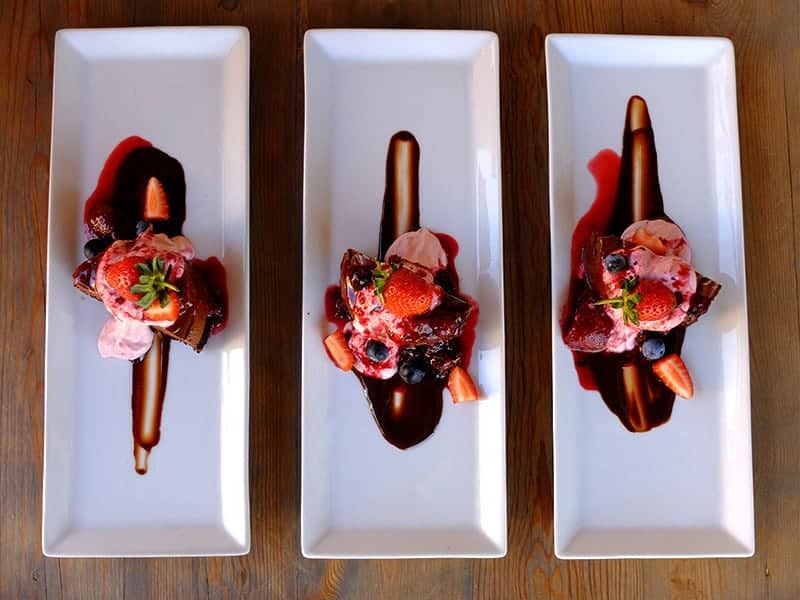 Much of their menu focuses on fresh, local produce and therefore changes regularly. We arrived hungry and weren’t going to have starters having done our homework and not wanting to underestimate the restaurant’s reputation for generous portions. But Mariaan has other ideas and brought a selection of starters for us to try. The first was their proudly South African bone marrow and oxtail. Deliciously slow roasted marrow with juicy, tender deboned oxtail. The second was their pork and duck rillettes with side of curried corn salsa. And the last, and a unanimous favourite, the eggplant tartlet with smoked eggplant and lashings of parmesan, fresh from the neighbouring farm. It’s not often that you find a restaurant where you’d be happy with any of the mains so we chose 3 different ones to get as many different delicious tastes as possible. 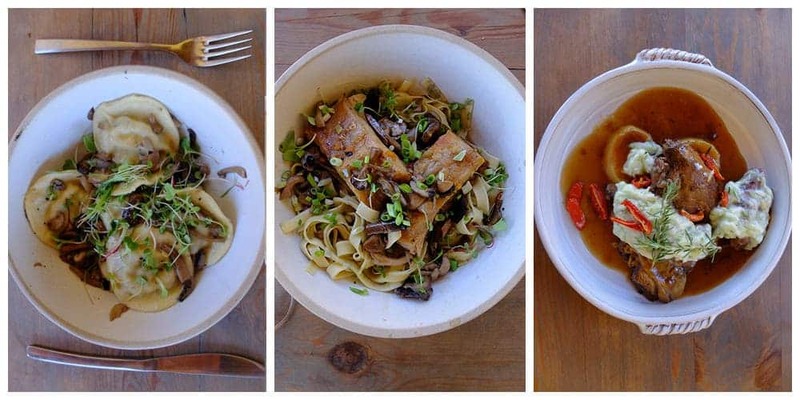 First choice: marinated pork belly, with a mushroom broth served on homemade herb pasta. Second choice: lamb with and third choice: ricotta and mushroom ravioli. The pork and lamb were delicious, with the pork being our top pick of the mains. The mushroom ravioli was good, but I think I was hoping for a bit more creaminess from the ricotta. By the time we were half way through our mains we were already completely full. But there’s always space for dessert so we ordered the Lindt Chocolate marquise to share. The moist layer of chocolate cake topped with chocolate mousse matched the berry creme fraiche and berry compote perfectly. 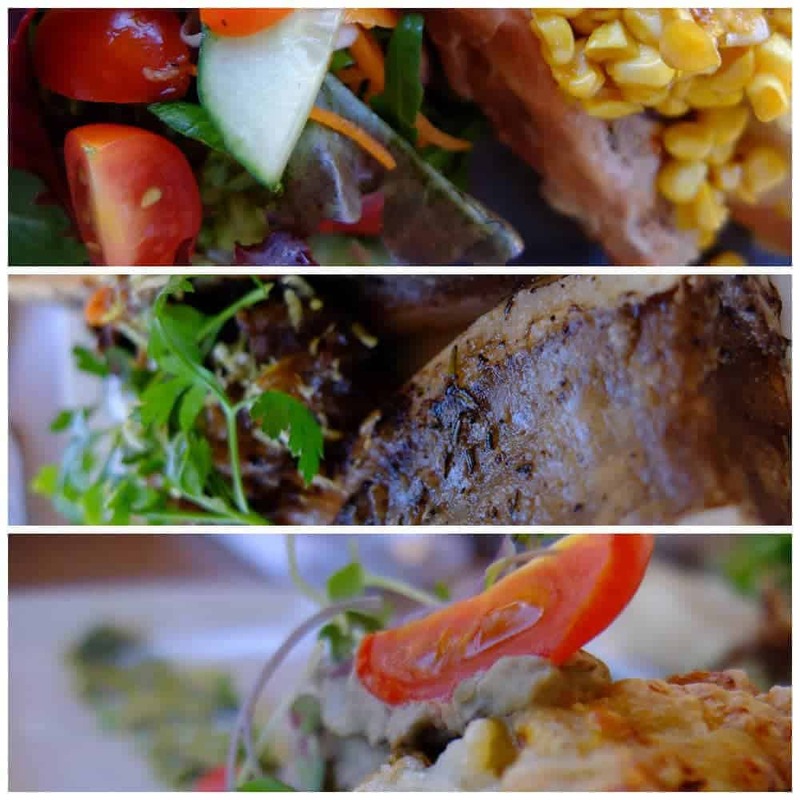 All of the dishes were beautifully presented, the food was delicious and, with the relaxed comfortable atmosphere, we really really enjoyed our afternoon. Next time we’re passing through I want to try some of the options on their deli menu. Book the Restaurant, chat to them on Twitter or have a look at their Facebook page. 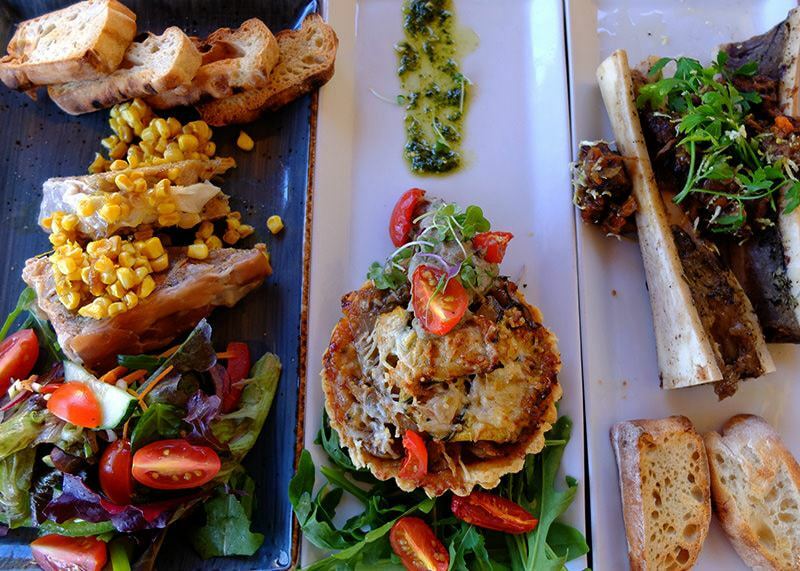 * Disclaimer: We enjoyed lunch as guests of Gabriëlskloof. All opinions are my own or those of the guests dining with me.